The Third Edition, coming nearly a decade after the Second, covers the seminal decisions on admiralty law handed down by courts in Singapore, Australia, United Kingdom and Hong Kong over the last ten years. The Third Edition, coming nearly a decade after the Second, covers the seminal decisions on admiralty law handed down by courts in Singapore, Australia, United Kingdom and Hong Kong over the last ten years. 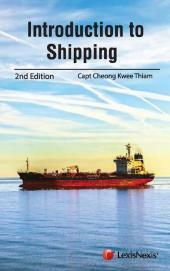 Various chapters have been rewritten to take into legislative and caselaw developments, particularly in the areas of invocation of admiralty jurisdiction, procedure of arrest, maritime liens as well as tonnage limitation. While the legislative references are based on Singapore and Malaysian law, the book also includes cases from other jurisdictions which have the same or broadly similar legislative framework on admiralty law as these two jurisdictions such as the United Kingdom, Australia, New Zealand, Hong Kong and Canada. Earlier editions of this Book have been cited in decisions of the Singapore, Malaysian, Hong Kong and Australian courts. Toh Kian Sing SC LLB (Hons)(NUS), BCL (Oxon) is a senior partner and head of shipping and international trade of Rajah & Tann Singapore LLP. He brings to his law practice a background of academic excellence, having taught at the National University of Singapore as well as Singapore Management University and currently holds a visiting professorship at Dalian Maritime University. Apart from admiralty law, his areas of expertise include bills of lading, charter party, ship building, marine insurance and commodity disputes. He regularly acts as an arbitrator in shipping and commodity disputes. Over the years, Kian Sing has also developed a strong reputation in letters of credit and warehouse finance litigation and is regularly instructed by banks and commodity houses for such disputes.